Our dear friend Staci has ridden solo for thousands of miles and has learned a ton of tips and tricks along the way. 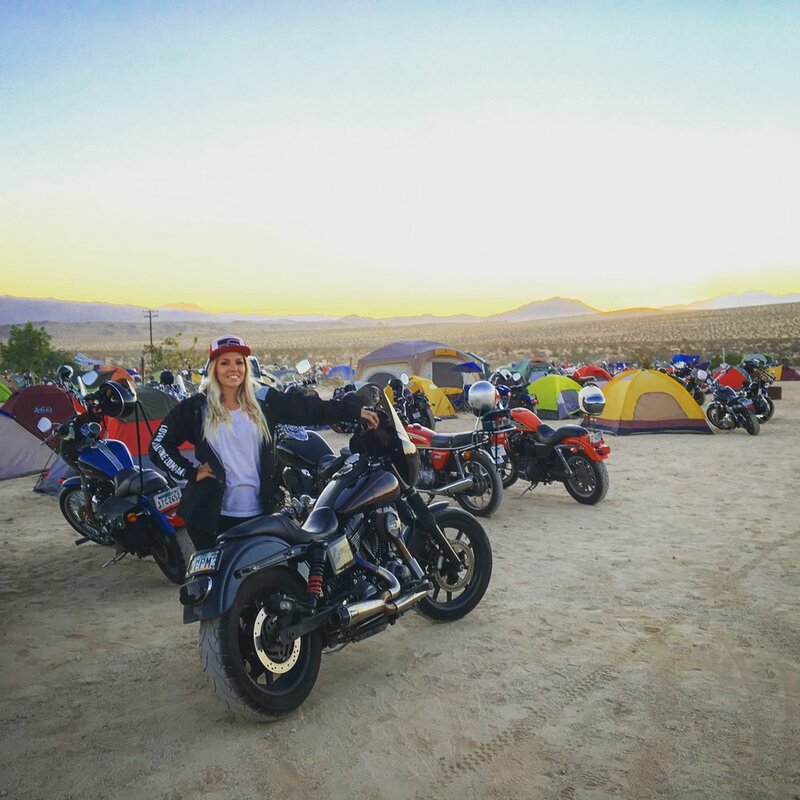 As we near Babes Ride Out 6, we wanted to share her blog post on Russ Brown Motorcycle Attorneys that is chocked full of tips for solo travelers but these helpful suggestions also apply to anyone hopping on two wheels in search of adventure. Read on and get all her tips and tricks by clicking HERE. The sole purpose of the BAM program is to keep motorcyclists across the country safe and protected on the road! Whether you experience a breakdown, a flat tire, run out of gas or even a motorcycle accident. BAM is an excellent resource for FREE roadside assistance and legal advice. Motorcyclists are oftentimes the underdogs of the roads and highways they ride—but with a BAM card in your wallet you never ride alone. As a member of Russ Brown’s BAM program, you have the backing of over two million motorcyclists like yourself plus the top legal minds of the country ready to advise you should you get into a motorcycle accident. Our BAM family offers a unique safety net in the event of a roadside emergency and has done so for over 30 years. BAM Founder, Russ Brown started this program so that no rider should ever feel alone or stranded without help. Millions of riders since have rallied to make BAM the strongest volunteer program of its kind in the world. If riding in a group or riding with new people, have a riders meeting before you head out to go over safety, abilities, designate a sweep and a lead. If none of these adventures suite your taste, feel free to research the area and find your own personal adventure. The Catskills are FULL of amazing history and folklore that will keep you busy all day long. 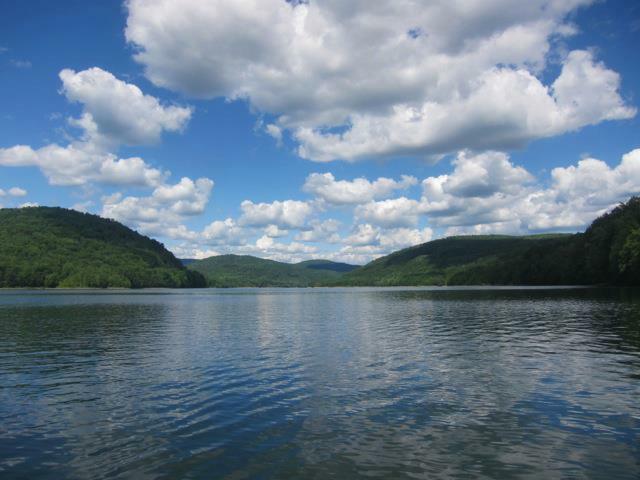 Each part of this route mirrors some of the Catskill waterways including the Pepacton Reservoir, the Esopus Creek and the West Branch Neversink River. Hitting Cherry Ridge Wild Forest, and Big Indian Wilderness - you’ll want some good tunes for this ride. Being the longest route, Mountain Mamas takes you into the Northern Catskills to see the local ski towns(and a whole lot more!) covered in lush, spring colors. Leave early for this one, and spend some time in the small towns of Roscoe, Windham, Hunter, Phoenicia, Bethel…..
A historical tour of the Catskills, marking the site of Woodstock ’69, and heading north all the way up to the famed Kaaterskill Falls. This route cuts through ravines with twists and turns that we could ride for daze. This option is great for enduros or those who just want a little fun in the dirt, this route brings you down to Old Mine Road, a historical highway along the Delaware River which is amazingly still in use. With dirt offshoots and abandoned farms, this area is one of New Jersey’s hidden secrets. Stay safe, avoid the potholes and don’t get arrested trespassing! As our shortest route, this map hits the most states! Heading through “Hawks Nest” in New York, then to the highest point in New Jersey, and back west to Milford, Pennsylvania for some super cute small-town love. Ladies Only Track Days Are Here Thanks to Socal Supermoto School! "Slow down and focus on the technique" is the first advice you'll hear from Socal Supermoto's Brian Murray, teacher and owner of this track experience that provides everything including the bikes, gear, pizza, and all the encouragement you can handle. I have to admit, as a first timer I was a little bit intimidated. I am not a fast rider and racing around a track with 13 other ladies I didn't know quickly turned out to be the one of the best experiences I've had on a moto to date. Our class!!! We had a full house at the first ladies only Socal Supermoto x Babes Ride Out track day! So what is it exactly? Socal Supermoto is a school that is designed to make you a better rider. The skills you learn in the class translate to any motorcycle (dirt and street). The classes are small which means you get hands on guidance everytime you are on the closed track. Classroom instruction breaks up the day and allows you to hydrate in between your track time (trust us, in full leather riding gear you need it). The school's philosophy is that proper technique not only makes you a safer/better rider, it makes riding much more enjoyable. What were my biggest takeaways? The biggest take away I learned was slow is OK! I also learned how to effectively use the front braking system safely & to my advantage in turns. I can now read my turns way better and understand where to enter those turns and exit them. I also entered my first race and even though I am 100% non competitive, it somehow came out of me and I had an absolute blast chasing new friends around the track. How can I take the class? We are glad you asked! We are proud to announce we've teamed up with Socal Supermoto and are supporting 2 more ladies only classes for 2018. Click HERE to sign up for this incredible experience. Spots do fill up fast so rally you girls and make a day of it. You won't regret it. A little dirt never hurt! Learning about asphalt to dirt transitions. *All inclusive Supermoto School includes Supermoto rental, training, trackfees, photography, t-shirt or hat, and lunch. We also have gear that we rent out for free! Just show up with your gear and water, and we'll cover the rest. We guarantee you'll have the best time you've ever had on two wheels! Need more reasons to take the class? Here ya go! Can't decide between street or dirt, ride both! Motorcycle camping for days at a time, riding from national park to national park is one of our absolute favorite things to do. Traveling on a bike means you are limited to what can fit on your moto, and space is reserved for the essentials. One of our all time favorite and most used items is a Jetboil. These small camp stoves can boil water within a few seconds which makes dinner so much easier and a quick cup of coffee possible. A lot of us have dietary restrictions, some of us NEED that hot cup of coffee when we wake up, and since a lot of national parks do not allow fires, this unit is perfect if you need to heat up that gas station Chef Boyardee or that can of soup you picked up at the last gas stop. In the spirit of wandering countless miles and always starting with a hot beverage and ending with a warm meal, we have partnered with Jetboil to gives away some of their MiniMo Cooking Systems at the Moto FAM raffle. We've got some amazing food trucks heading to Babes Ride Out 5 but we know some of you are traveling multiple days or some of you rather make your own food at camp. Here are just a few roadside recipes make with a Jetboil that we LOVE! There are a ton of ways you can use this unit to make meals and beverages while motorcycling so get creative, test them out, and let us know you if have a good one you'd like to share. Packs down perfectly for easy transport. "Italian inspired couscous tossed with meat and cheese." Turn off the stove and add in the dry ingredients, oil and pepperoni. Stir well, put the lid on tightly and let sit for 10 minutes. Dice the cheese, fold in and let sit for a minute. Shelf stable pepperoni is often sold next to the deli meats in grocery stores but doesn't need to be kept cold until opened. For the mozzarella cheese, use 2 pieces of string cheese. It is fine to carry for a couple days, it will get soft but is edible. Everyone needs a little comfort food - even on the trail. Here's a quick, light and easy way to enjoy your macaroni & cheese. For one serving, boil 2 cups of water and add 2 packages of noodles. Keep an eye on the noodles and stir often so they don't stick, allowing them to simmer until soft. Add cheese packets and stir. Mmmmmmm! When hot chocolate takes 30 seconds to make, you might start drinking a lot more of it. We won't hold it against you if you buy the packets of Swiss Miss or Carnation, but here's a good recipe if you're a diehard do-it-yourselfer. To one cup hot water, add 1/3 cup dry mix (about four to six heaping tablespoons) and stir well. Add a little instant coffee for mocha. Life is good. Mmm S'mores Cocktail | Love at First Sip! Add 1 cup hot water to the cocoa mix, stir in the liquor and top with marshmallows. Note: A packet of hot cocoa mix can be substituted for the cocoa and milk powders. "We're pretty excited to partner with Babes Ride Out and support the growth of the women rider movement. BRO has grown from a grass roots collection of passionate riders to become the largest ladies only event of its kind. S&S Cycle will be on site to provide tech support and basic mechanical guidance. Look for our own Savannah Rose and her hardtail Sporty as well as a stocked up Sprinter van" - David Zemla , VP of Marketing at S&S Cycle. Knowing your bike is running in tip top shape is important when you are traveling hundreds of miles to get to Babes Ride Out 5. Even though we always strongly encourage ladies to have their bikes checked out before they hit the road, the inevitable happens. A tire looks a little too worn, you've burned more oil than you thought, your headlight goes out, tire pressure reduces, things shake loose, and all sorts of other things may get the better of you. We are so excited to announce that S&S Cycle will have a garage setup that will be on site in a little section just off Sunfair, the main road leading into Babes Ride Out. They will be stocked with tools, oil, and a human who can help you continue to ride safely. Look for the giant S&S easy up and van, pull in, and get your bikes checked out for free thanks to the crew of S&S Cycle. Look for Savannah on her chopper scoot. Savannah has been coming to Babes Ride Out since it's inception (2013).